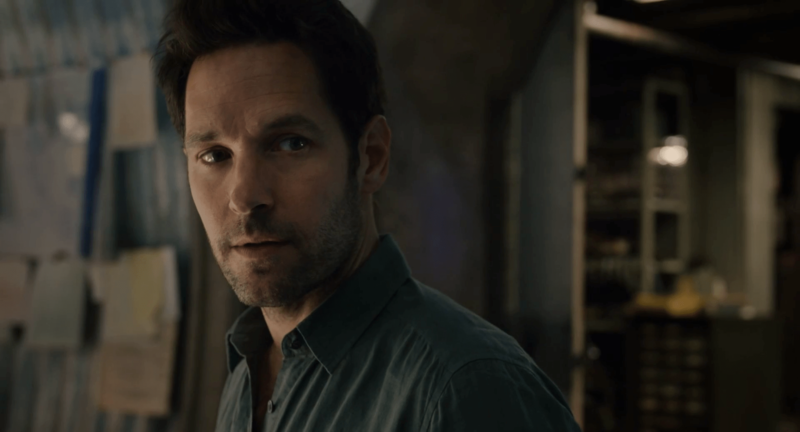 After releasing both an “Ant-sized” and “Human-sized” preview on the internet, Marvel Studios debuted the official Ant-Man teaser during the world premiere of “Marvel’s Agent Carter” on ABC. And, honestly, like it’s lead character, it was big on flash but small on substance. This movie marks the film debut of a founding member of the Avengers, but the footage feels like it is lacking. The biggest issue? The trailer doesn’t set a real tone for the film. Ant-Man, opening July 17, 2015, stars Paul Rudd as Scott Lang, Evangeline Lilly as Hope Van Dyne, Corey Stoll as Darren Cross (Yellowjacket) and Michael Douglas as Dr. Hank Pym. Other notable stars are Bobby Cannavale, Michael Pena, Wood Harris, and T.I. Ant-Man features a script by Edgar Wright, Joe Cornish, Andrew Barrer, Gabriel Ferrari and Adam McKay. Without giving all the details, Ant-Man is an origin story that turns a thief into a hero. There are some clear “heart of gold” moments in store related to his daughter. And, there is a lot of action taking place. From the clip, it’s clear Rudd was brought on for his comedic chops. But it doesn’t prove that he can actually deliver. Michael Douglas gives a very heroic voice-over for most of the clip. But when Rudd finally breaks in, presumably to deliver a clever one-liner, it’s completely lifeless. His simple introspective “hunh” comes off like schtick from his last rom-com. It is so predictable that it’s impossible to find it funny. In the end, the teaser comes off as all tease and no gratification. For me, Ant-Man was always cool because he was the anti-Hulk. He was extremely smart and instead of getting really big, he got tiny and strong. He is a little known Marvel character but – like the Guardians of the Galaxy – his origin story represents a great opportunity for the franchise to capitalize on humor while still bringing the action. Most folks watching the films have no idea what he is all about so Marvel dropped the ball a bit on the trailer. The official description sounds kind of like the narrative from the Thomas Crown Affair rather than the Ant-Man I grew up reading. Honestly, I am still planning on seeing the film when it debuts. I am too die hard a fan of all things Marvel Universe to pass this one up. I just hope it doesn’t turn out to be like the Wolverine series or X-Men 3. I am still scarred from the mishandling of Phoenix and Darwin’s illogical demise in X-Men: First Class. Hopefully, Marvel doesn’t let me down this time too. But, judging from this trailer, I think I’ll just work on lowering my expectations a bit. What do you think of the trailer? Are you excited to see the film? Tell us in the comments section below! What Happened to Reality TV?